To teach multidisciplinary design optimization (MDO) to students effectively, it is useful to have accessible software that runs quickly, allowing hands-on exploration of coupled systems and optimization methods. 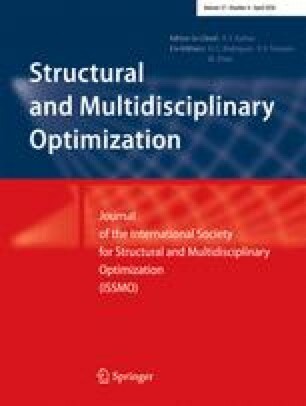 Open-source software exists for low-fidelity aerodynamic or structural analysis, but there is no existing software for fast tightly coupled aerostructural analysis and design optimization. To address this need, we present OpenAeroStruct, an open-source low-fidelity aerostructural analysis and optimization tool developed in NASA’s OpenMDAO framework. It uses the coupled adjoint method to compute the derivatives required for efficient gradient-based optimization. OpenAeroStruct combines a vortex lattice method and 1-D finite-element analysis to model lifting surfaces, such as aircraft wings and tails, and uses the coupled-adjoint method to compute the aerostructural derivatives. We use the Breguet range equation to compute the fuel burn as a function of structural weight and aerodynamic performance. OpenAeroStruct has proved effective both as an educational tool and as a benchmark for researching new MDO methods. There is much more potential to be exploited as the research community continues to develop and use this tool. The authors are grateful for support from the National Science Foundation Graduate Research Fellowship under Grant No. DGE-1256260 and from the AFOSR MURI on multi-information sources of multi-physics systems under Award Number FA9550-15-1-0038, program manager Jean-Luc Cambier. The authors would like to thank Shamsheer Chauhan for contributing his figures from the MDO course project, as well as Joseph Morlier and Nathalie Bartoli for their support in the ISAE-SUPAERO course.